Corporations face significant challenges in communicating their message: verbose complexity, lack of differentiation, and mixed messages. But distilling an entire company’s offerings into a succinct message is challenging. Enter Ben Reed, Partner and Co-Founder at PitchMaps. 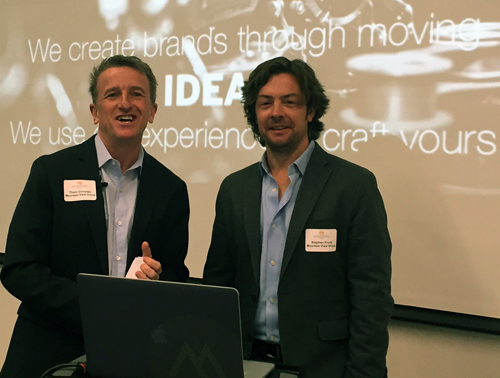 At IABC/Atlanta’s monthly luncheon on March 28, Ben presented Find Your Message: How To Drive Growth With Better Sales & Marketing Messaging. Or in short, “how to get the words right” for your business – words that resonate with existing and prospective customers on a gut and emotional level. First, identify the company’s Cause: the rally cry, purpose, stake in the ground that describes why the company exists. Drill down in discussions with the full range of relevant stakeholders: employees, customers, prospective (and even lost) customers, and vendor partners. Look at competitors’ offerings and conversely, industry whitespace. Determine the key challenge that the company is addressing in an inspirational way. Then build a creative yet direct company tagline or themeline that reflects the Cause. Think “Just Do It” from Nike: authentic, inspirational, and enduring but also informational. Finally, build the company pitch around the Cause. It starts with a simple, jargon-free definition of what the company does. Then comes an eye-opener: a startling, memorable piece of information about what’s going on in the customer’s world. Follow with the solution pillars: the company’s key differentiators, framed from a customer, solution-focused perspective. Give a reason to believe: proof that company can deliver on its promise. Close by suggesting a next step to continue the conversation. PitchMaps has found the process of carefully determining a company’s Cause and incorporating it into its messaging creates a powerful, effective pitch. To learn more, visit pitchmaps.com. Thank you to IABC/Atlanta member TrueLanguage business translation services for sponsoring the luncheon. With more than 450 million members, LinkedIn continues to be the social channel of choice for today’s working professionals. 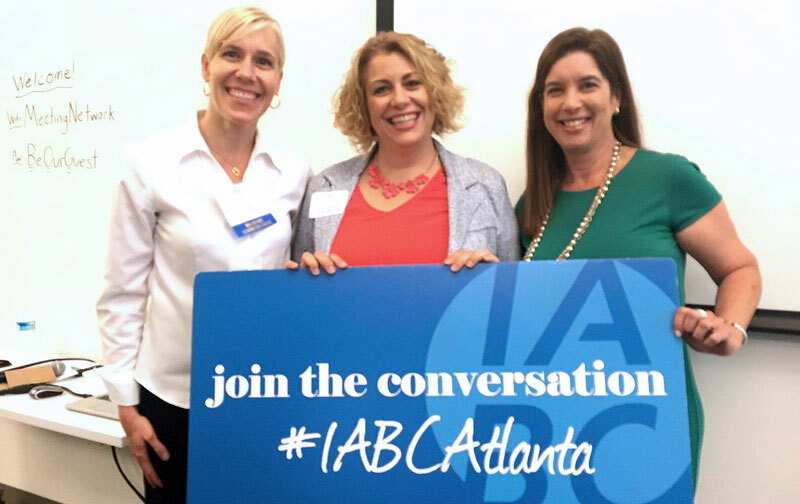 IABC Atlanta’s September luncheon focused on ways to leverage the online channel to accelerate career success. Event sponsors at the meeting included Hire Profile, a recruiting firm specializing in placing Atlanta’s marketing, communications and design professionals into permanent and temporary jobs, and Blue Fetch, a builder of mobile applications dedicated to helping enterprise clients solve business problems using mobility. in their own online brand. “This is a social forum and people will stick around and will typically stay a little longer if you tell a story or if they have something visual to look at,” Maggi says. Think visual: add a background image that is visually interesting to your profile; use symbols to enhance your brand; select a photo that reflects your brand (Maggi’s informal photo reflects her brand to be approachable). Post content that showcases your work –photos, videos, links to other content. In the Experience field, avoid simply copying and pasting your resume and instead, tell a story that showcases what makes your experiences and you unique. Strengthen your profile with fields that allow you to add more details – such as fluency in multiple languages, certifications, coursework, volunteer experience, honors and awards, etc. 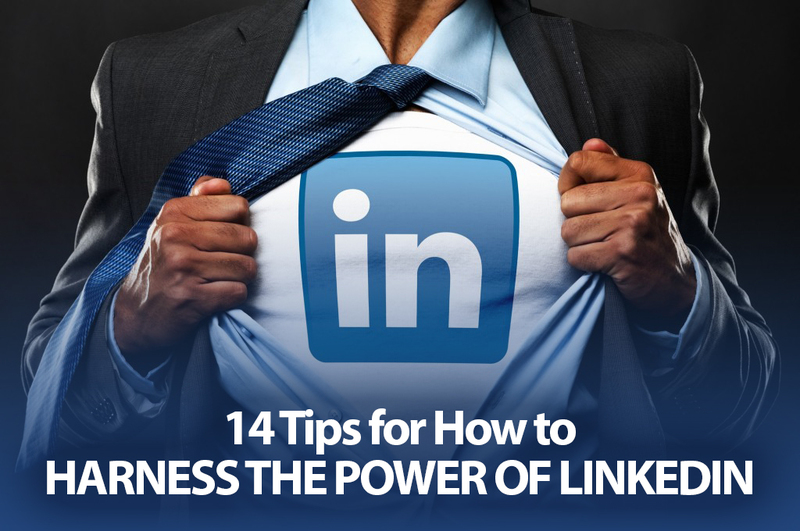 Use LinkedIn’s blogging platform to establish credibility and perspective on what you are passionate about (LinkedIn’s blog interface allows you to tweet it simultaneously. Adding your post to Facebook is also easy). Ask to be recommended and give recommendations unsolicited. If you are changing career direction, begin to brand yourself by highlighting work experiences of roles that you would like to have moving forward. Make sure people know how to contact you. Include an email or phone number on the “Advice for Contacting” and “contact info” fields. Check out how your profile compares with your competition—what key words do other professionals in your field use? How do they brand themselves? Follow groups and influencers that are most relevant to your brand and participate in discussions/ posts. One of the more powerful illustrations Maggi gave was showing LinkedIn’s advanced search capabilities, including the ability to search for first and second connections by company, geography and even by college attended (Under My Network, click on “Find Alumni”). All these search results and a person’s connections can be downloaded into an Excel or PDF file. 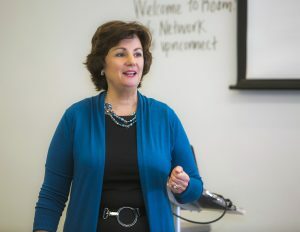 “I recommend that you assign a number to your top connections – say 25 people in your network and create a strategy for keeping in contact with them,” Maggi said. 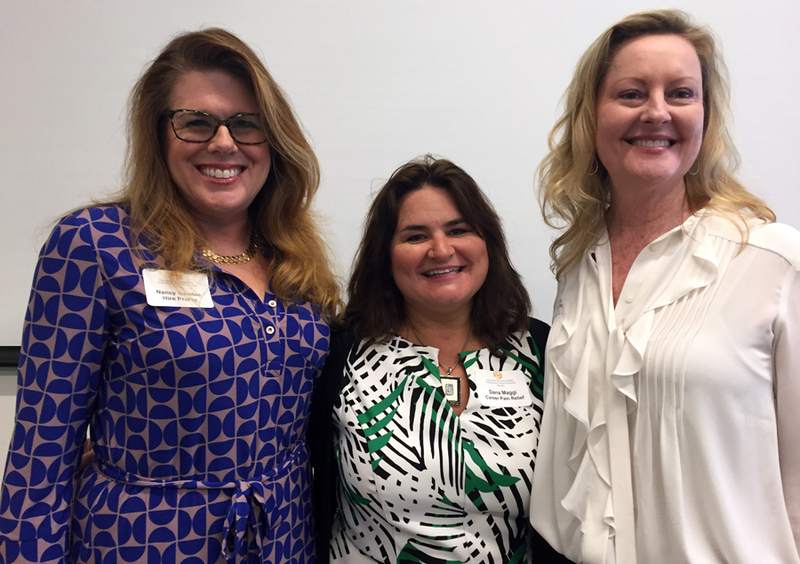 At the June luncheon, IABC Atlantans got an inside view of innovative social engagement in the rapidly changing world of healthcare. The lunch panel, featuring thought leaders from both the provider and service/creative agency sides of the industry, has never been timelier given the seismic shifts occurring in patient care and delivery today. 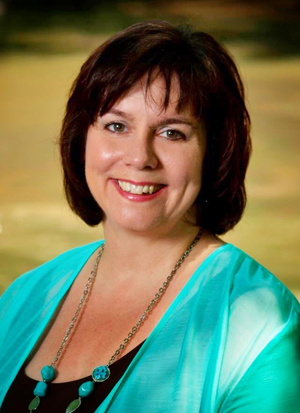 Setting the stage for the discussion was panel facilitator Lea Volpe, a Canadian native and the new VP of communications and brand for PruittHealth, a holistic nursing care provider serving patients throughout the Southeast. “Healthcare in the United States is facing the perfect storm at the moment. It is an extremely interesting, challenging, frustrating and exciting time for people who are providers of healthcare, are service providers to healthcare organizations, or are consumers of healthcare,” said Volpe in introductory remarks. She noted that several external factors are driving the industry, many of which the healthcare industry has no control over, such as legislation, demographic shifts and changes in the population, changes in the way healthcare providers are reimbursed, and a shift in how technology is being used not only in provider organizations but also by consumers themselves. In addition, healthcare providers are no longer being reimbursed based on volume; they are starting to be reimbursed based on quality and value of care. 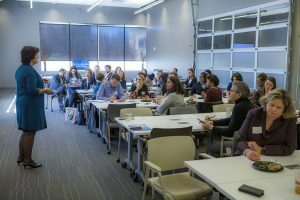 “I personally think the evolution to quality of care reimbursement is good for the consumer – it means over time you will have more assurance that you and your family will be taken care of in a better way,” Volpe said, adding that in the near term, it’s creating an extremely complicated environment, especially for professional communicators. Kicking off the panel was Shelly Spoeth, senior VP and practice lead, health and social impact for the Atlanta office of Porter Novelli, a 40-year-old social marketing and PR agency. Spoeth shared how her agency is leveraging social marketing to help change health behavior at the population level. 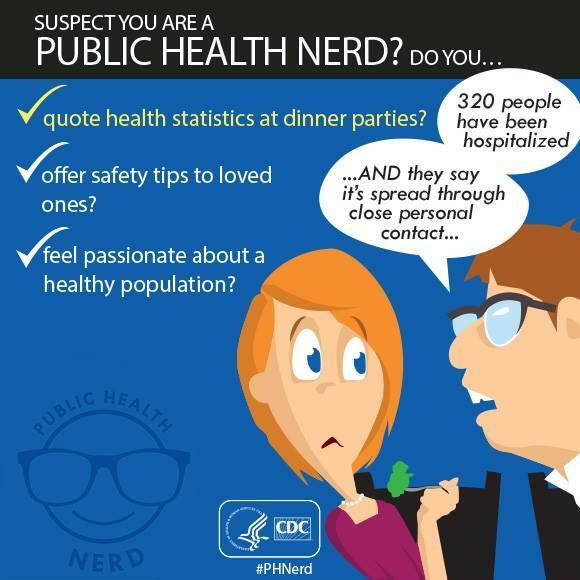 A self-professed “public health nerd,” Spoeth worked on the agency side for both pharma and biotech firms before working in public health communications. Porter Novelli’s health practice’s clients include the Centers for Disease Control and Prevention, as well as a variety of non-profit organizations. Sometimes policy changes can affect behavior – such as when smoking was no longer permitted in office buildings or on airplanes. She shared several other examples of how to leverage research to reach populations with health messages. When working with CDC on a campaign to get more mothers to immunize their children, Spoeth and her colleagues had to decide which target audience would be best to reach – moms who were against vaccinating, moms who were on the fence or moms who were more supportive of vaccinations. Another campaign, “Take Charge, Take the Test,” was rolled out by CDC to women to encourage voluntary HIV testing. The planning process included talking with more than 400 women around the country and the campaign endured for nearly a decade in large part because of what was heard over and over again in focus groups. That insight was that women felt that they knew they didn’t have HIV, but they may not know about their partner. “We took that insight and used it in a way that was not negative, but tapped into that concern. It was piloted and then rolled out nationally to 10 different health departments,” recalled Spoeth. “In summary it’s really about understanding your consumer and making sure you’re really getting to the bottom line of behavior,” she concluded. The final panelist, Carolina Cruxent, director of Wellness Marketing for Children’s Healthcare of Atlanta, shared highlights on Children’s phenomenally successful wellness movement, Strong4Life, which began in 2008 as the employee wellness program but which became their wellness brand for parents in 2011. 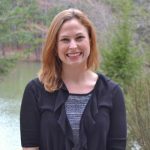 She said that in 2010, Children’s looked at the biggest health crisis confronting Georgia’s children: the escalating epidemic of childhood obesity. Children’s didn’t just target parents of overweight or obese kids. “It became a conversation with all parents – the parents of 81% of kids who can’t pass basic fitness assessments. It is not a conversation about weight. It’s a conversation about unhealthy habits,” she said. Strong4Life was born to do two things – first, to prevent unhealthy habits from taking hold in the life of a child, and second, to intervene and treat those children who are already in crisis. Cruxent said Strong4Life is involved in school cafeteria and healthcare provider training to help those providers have better conversations with parents, and in community organizations such as parks and recs, Boys & Girls Clubs and YMCAs. From a communications perspective, to change behavior, “we had to start with awareness,” said Cruxent. In 2011, Children’s started its first campaign to build awareness in Atlanta, and over the next few years rolled out a number of promotions, including movie theater advertising and grocery store ads reminding parents that everything they put in their shopping cart was going to go into their children, as well as takeovers on major websites citywide, and ad bags in the Atlanta Journal-Constitution. The healthcare leader also ran TV and radio spots and one video, “Rewind the Future,” of a 32-year-old heart attack victim being rushed into an ER operating room, was shot using the first person POV approach with a body-mounted camera. Cruxent said it went viral – with almost 19 million views worldwide. Children’s then researched how to evolve their communications for the greatest impact on behavior change. “We talked to thousands of parents and we’ve uncovered insights on what makes parents tick, what their barriers are and what their motivators are,” Cruxent recalled. How does one communicate to a group of people who don’t see a problem but who are also at various stages of awareness and readiness to change? That’s what faced the communications pros at Children’s. 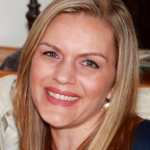 “Understanding those barriers helped us create an approach that was not one size fits all, but also wasn’t going to be as costly as having different ad campaigns to impact parents at different stages of readiness,” Cruxent noted, explaining that her team recognized how “seriously overwhelmed” parents were. 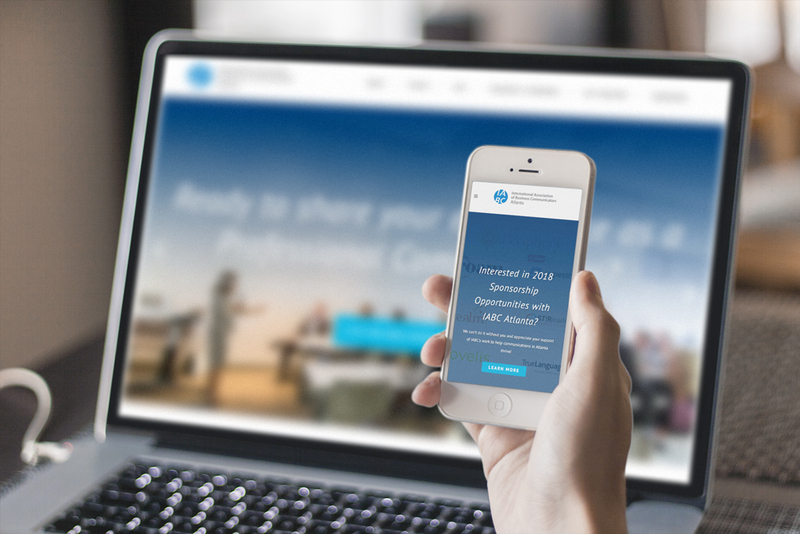 “Stealth health for us was all about ensuring that we could give the parent an immediate return on investment for time spent on content that was relevant to them today,” she said. According to Cruxent, the team has generated 1,650 pieces of original digital content over the last three years. Examples include “The Healthy Eats Hoax” – which shed light that some of the processed foods brought into the house have ingredients parents don’t realize is in the food — and ”Six Surprising Supermarket Secrets” – about the areas of the store to avoid if one wants to stay healthy. A sign that the Children’s wellness team is hitting the mark is that compared to 2011 and 2015, the number of visits to the website has grown from 10,000 to 700,000 annually, and from 38% of parents saying they were ready today to make a change to 53% saying they are ready to make healthy changes in the home. 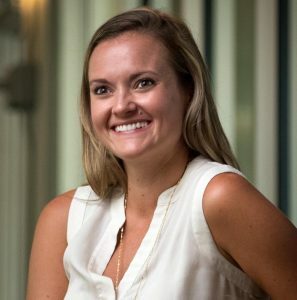 Cruxent credited the hard work of her team, which has grown from two members to eight full-time staff since the program launched. Volpe concluded the panel sharing how PruittHealth helped ensure that its’ loving, giving and caring culture “is instilled and inspired regularly into the hearts and minds of our employees, while at the same time, creating unique experiences for their patients as they face the end of their life. 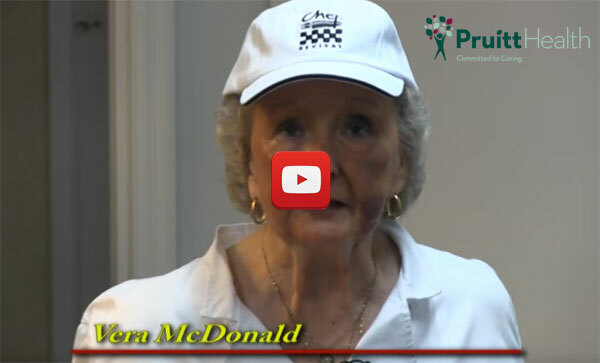 PruittHealth’s Committed to Caring Program (C2C) enables both by asking elderly patients what their lifelong dream was, and trying to make that happen for them, explained Volpe, describing C2C as a Make a Wish Foundation program for older people. Volpe shared a video highlighting some of these experiences, showcasing how one resident was able to fly a plane, another got to be a firefighter, and still another become deputized as a sheriff (as his father was years earlier). In an audience Q&A following the presentation, the presenters were asked what they found most gratifying about healthcare communications. 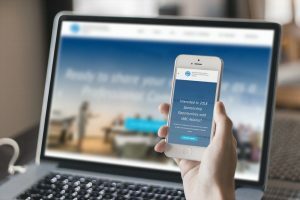 What do a “day-in-the-life” employee video series, an engineering technical summit and an aluminum can sustainability campaign all have in common? They were 2015 winners of IABC Atlanta’s Golden Flame Awards. 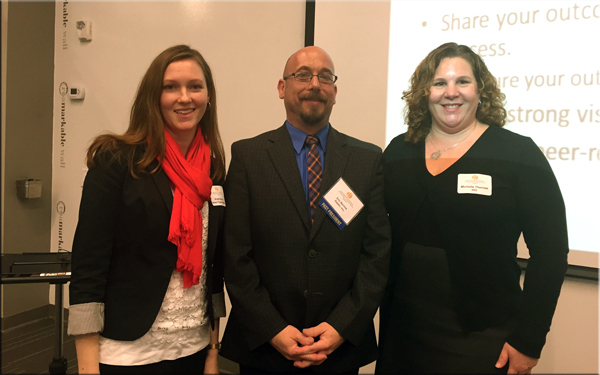 The professional communicators, Michelle Thernes with IHG, Kristi Burris with Amec Foster Wheeler, and Eric Berrios with Realm Advertising, each presented thoughtful and inspiring highlights of their gold-worthy communications programs during the February IABC Atlanta luncheon. 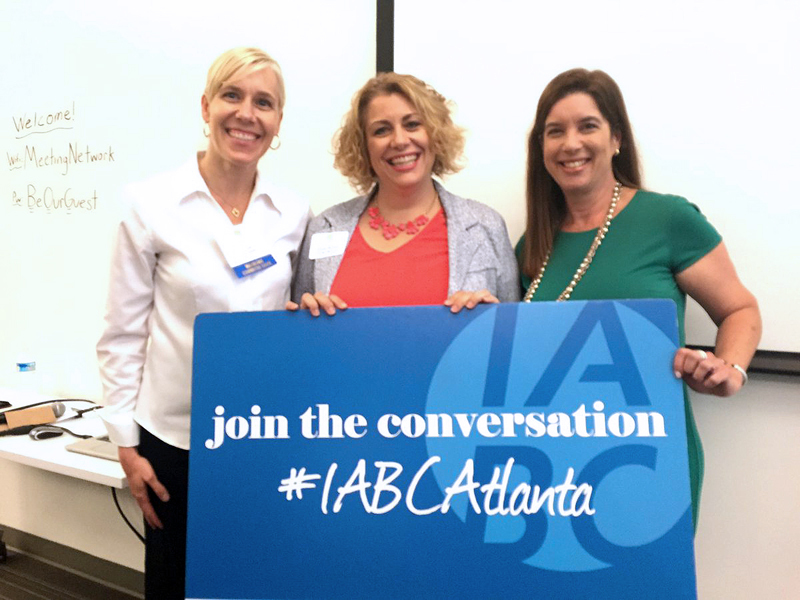 The timing has never been better to talk about the Atlanta chapter’s biggest awards event, given that that the Golden Flames will now be held in the fall to coincide with the IABC Southern Region Conference coming to Atlanta in October. That means communications pros will need to begin to plan their applications this spring to meet the summer submission deadline. “We took a strategic approach to show each employee as a whole person and show how each brand is unique. We followed the employee through key moments of their day,” she said, noting that every video had a direct alignment to IHG’s business priorities and “winning metrics.” IABC members then watched one of the videos featuring Fred Flood, maintenance engineer for the Staybridge Suites in Fargo, North Dakota. Burris next shared the process she went through in organizing a highly engaging summit for employees in her engineering consulting firm’s Environment & Infrastructure business based in the Americas. “We wanted to provide a hands-on experience and learning of best practices to increase engagement, collaboration and knowledge among our employees,” recalled Burris, who led the planning of the two-day event that attracted 250 employees the second week of November 2014. At the meeting, 15 “rising stars” gave 15-minute presentations. A hands-on Innovation Expo highlighted several of the company’s patented technologies. She believes the cross-teaming that came from the meeting helped fuel first quarter 2015 results that showed a 22% increase in average project size and sales growth exceeding 110% of targets. Berrios with Realm Integrated Marketing then shared his firm’s “big guy versus big guy campaign” to introduce a new and much more environmentally friendly aluminum can to beer makers. The product, marketed as evercan™ by client Novelis, the world’s largest recycler of aluminum cans, is made from 90% certified recycled materials while average cans today use only 30 to 40% recycled content. The product, Berrios explained, would disrupt the market for aluminum cans and “should be the best thing ever introduced to the beverage industry.” The company first pitched major canners but they weren’t interested in a disrupting the current supply chain, and refused to share evercan with major beverage brands. That’s when Realm took the can to a specialty market – craft beer makers, who are very sustainability focused. 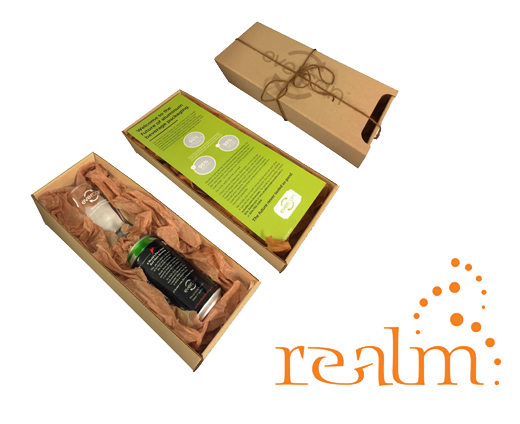 Over the one-year campaign, from 2014 to 2015, Realm Advertising strived to build brand awareness and “plant the seeds of a movement.” It piloted the program first with Red Hare Brewing Company in Marietta, Georgia. “We educated the market through billboards, at tradeshows and direct mail – even sending a direct mail beer,” recalled Berrios, who admitted that this was his favorite campaign of his career. The goal was to build understanding and get people to engage in the conversation. The results were promising: four times’ the industry click throughs for ads related to evercan and four craft breweries chose to adopt the product. 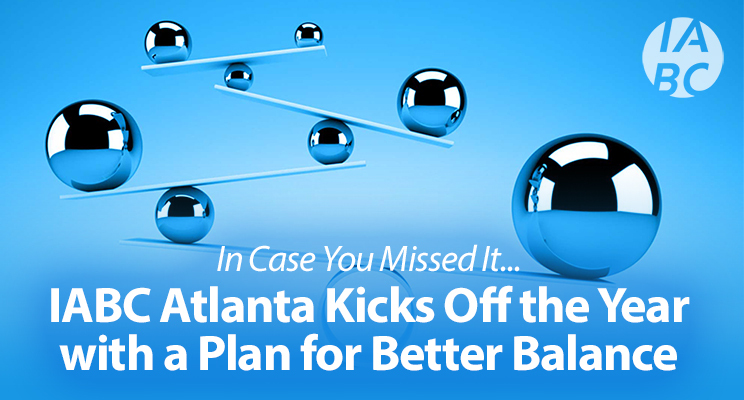 To learn more about IABC Atlanta and the annual Golden Flame Awards, visit the chapter website at http://atlanta.iabc.com/.